Trials are under way to examine whether vitrification technologies could be adapted for larger quantities of mixed low/intermediate level radioactive wastes. To identify effective, cost-efficient solutions for immobilising large quantities of mixed, diverse radioactive waste. Adaptation of existing thermal treatment technology, used overseas on asbestos and soils, to produce stable, passively safe material that can be disposed of a Geological Disposal Facility. More efficient ways of dealing with large quantities of radioactive waste are an important focus for the global nuclear industry. NDA’s mission alone will need almost 5 million cubic metres of diverse waste to be managed. Cement encapsulation is the conventional treatment for most radioactive waste with low to medium levels of radioactivity. The process is well established internationally, however, cement grouting and packaging significantly increase the volumes needing storage, pending development of a final disposal facility. 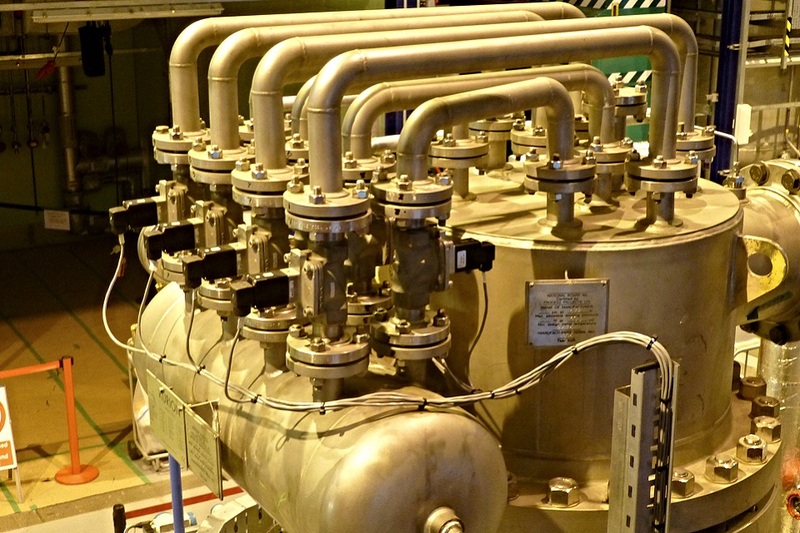 Thermal treatment, meanwhile, is used to vitrify the very small volumes of highly active liquor produced by reprocessing spent nuclear fuel at Sellafield. One area of research is examining whether existing thermal treatments could be adapted to treat the larger quantities of mixed low/intermediate level wastes, as well as problematic wastes which are small in quantity but require specialised treatment. This potential step change in waste treatment could bring significant savings for NDA. Economic modelling shows that lifetime savings across just a single Sellafield waste, Plutonium Contaminated Material (PCM), could reach more than £1 billion. Waste streams where thermal treatment may be suitable have also been identified at other NDA and non-NDA sites. Cost estimates are based on reduced waste volumes, meaning fewer packages and stores would be required. Additional savings could result from stabilising waste and destroying chemically reactive species. 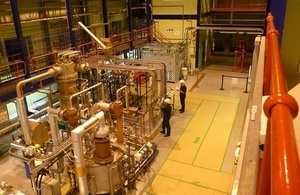 Sellafield, Galson Sciences and National Nuclear Laboratory (NNL) worked in collaboration to carry out vitrification trials over several years at an existing in-container test rig at NNL’s Central Lab on the Sellafield site. The 6 paired melts – inactive and active – were funded through the NDA’s Direct Research Portfolio (DRP), and fit into a wider cross-estate project that is examining a range of thermal processes that may have potential to fundamentally change the approach to higher activity wastes. Trials on both inactive and active simulant wastes confirm that the process can successfully vitrify varying waste streams, including mixed compositions. Average volume reduction ratios were generally higher than anticipated, typically 3:1. Waste is mixed with glass-former (soils, industrial minerals, glass frit or a combination), then heated using electrodes lowered into the container. As the waste melts and the volume shrinks, more waste can be added. The process immobilises inorganic contaminants (i.e. radionuclides and heavy metals), incorporating them into a durable glass matrix. Organic wastes are destroyed while gaseous contaminants released by melting are filtered separately through an offgas abatement system. Waste tested included sludge, skips containing sludge, metallic components from fuel elements, plus contaminated items such as tools, clothes, paper, rags, scaffolding, pipework and circuitry. Trial materials prioritised specific Sellafield wastes that will need new treatment facilities in the near future, as well as more generic UK waste streams. Sampling and analysis of the vitrified blocks is now under way. The research has already developed an understanding of the factors influencing technology decisions, such as engineering design, volume reduction, ease of operability, package disposability and costs. Post-vitrification treatment and eventual packaging choices would also need to be considered, as well as any secondary waste produced. 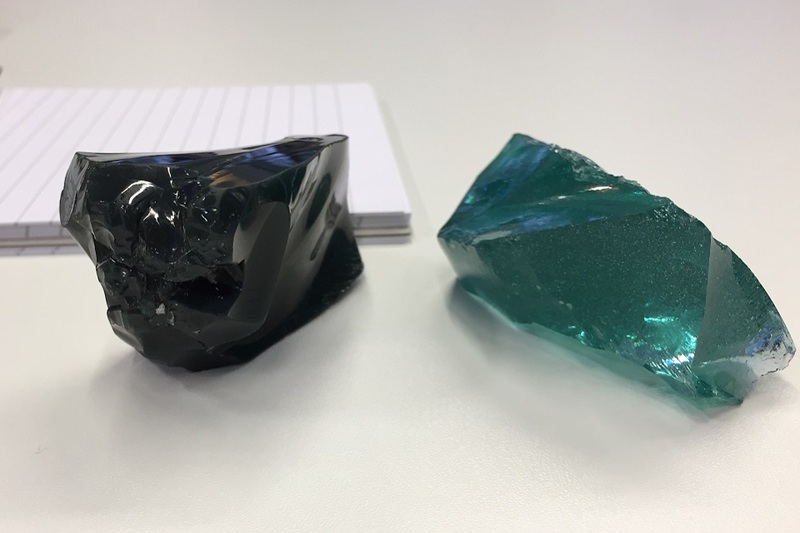 The results are feeding in to the work of the cross-estate Integrated Project Team (IPT), who have begun a dialogue process with potential technology suppliers and are sharing the learning with a European project on thermal treatment.